The Center for Writing and Speaking (COWS) Blog | Whitman's online wealth of writing tips and resources! Whitman's online wealth of writing tips and resources! The synopsis of our tutoring presentation was how to effectively tutor an unwilling tutee. Specifically, a tutee went into the COWS seeking help on his first Encounters paper. The tutee and tutor had different ideas of what constituted a tutoring session, and thus the tutee was unwilling to receive the tutor’s constructive comments. In other words, instead of listening to the tutor’s suggestions, the tutee was offended by what he perceived as the tutor personally attacking his paper, and dismissed constructive criticism. Furthermore, the tutee was also dismissive of the tutoring session as a process, and instead thought that a tutoring session meant editing. The tutoring session began with the tutor asking the tutee what the topic of the essay was, and then instructing the tutee to read the introductory paragraph out loud. By the time the tutee finished reading, it was evident that the thesis of the paper was not completely clear due to unclear terms such as “objective judging,” and “practical perspective” being poorly defined. Unfortunately, the tutee was unable to define their own terms verbally when prompted by the tutor, so the thesis itself lacked clarity. In response, the tutee claimed that the arguments were in fact perfectly clear, and it was simply the tutor’s fault that they were unable to ascertain the intended meaning. This general theme of conflict carried on throughout the tutoring session, and the tutee continued to reject any and all advice as personal attacks on the writing. Finally, the confrontation came to its summit, at which point the tutor took a step back and explained that he was simply trying to help the tutee become a better writer, and was genuinely interested in what the paper was trying to say, that the tutee felt comfortable, and actually began to listen to advice. Once this basic level of trust was built, the tutor explained that a great place to start improving the paper would be to gain a better understanding of the terms used in the thesis, and then provide a precise definition for said terms. The tutor further explained that it is essential to ground definitions and examples in the text. The tutee finally accepted the advice, and the session ended optimistically. While we have been talking in class about various tutoring techniques, actually working as a tutor, albeit in mock session, permitted us to implement those ideas as we would in an actual tutoring session. Since we were not actually following the script verbatim, we frequently had to ad-lib responses just as an actual tutor might have had to. This in turn required us to try and respond to social cues, and we think that this showed both us and the audience the difficulties of working with a tutee who really does not want anything beyond proofreading. A good tutor has to practice patience and self-control, finding the balance between reassuring the student that the paper is a good one well-worth developing, and pushing the student to develop his ideas clearly and accurately. This is a balance that is especially hard to find with such a resistant and combative student. Hearing the feedback from our peers was also helpful, as they had some different ideas on our fictional scenario. One person suggested that maybe, when the student became too aggressive and rude, the tutor should have pushed back more and made it explicitly clear that that sort of conduct was not acceptable. Another theme that flowed through the post-skit discussion was the question of how to reconcile the peer-to-peer relationship that students at Whitman have with the slightly more unegalitarian power dynamic between tutor and tutee. While we as a class did not come to a firm resolution on any of the issues, the discussion served well to help us understand the complexities of tutoring in a much more concrete fashion. For our Tutoring in Writing presentation, we decided to practice tutoring a student who brings in a paper that is mostly summary and lacks a true thesis. While deciding how to approach the assignment and what paper we could use as a sample to read aloud in class, we took a moment to look back at our own Encounters essays. When Taylor looked back through her Frankenstein essay, she realized that it had the exact problem we were focusing on – the essay lacked a formal thesis and was almost exclusively a summary of the text. This was perfect for us to use because it was a real, well-written essay that resembled something a student would actually submit. Next we read through the paper together, as if we were in a COWS tutoring session. Taylor would make comments about her thought process while working on the paper, and at the same time Kenya was looking at the paper from the perspective of a tutor. We knew it was important to draw out parts of the essay that were interesting and could be developed further, potentially into a new thesis statement. It turned out that most of Taylor’s argument was shoved towards the end of the paper, when she had felt she was “allowed” to expand on her otherwise very basic thesis. This was interesting because it got us thinking about the different experiences students may have had in high school and even some college classes. Each teacher and professor wants something different, and students often feel that they need to follow a very specific set of rules while writing. We believe that this is a good thing for any tutor to keep in mind. We also focused on the use of quotes in the paper. Instead of using the quotes to advance an argument, they were merely working to summarize the text. Taylor remembered adding the quotes because she knew she needed a certain minimum amount of evidence, rather than because she felt they were integral to her argument. This is a mistake a lot of freshmen make, so it was important for us to address it. Spencer acted as an outside observer, commenting on and summarizing our (arguably very real) tutoring session. Sometimes it can be hard to recognize what sort of dynamics are present in a tutoring session while you are in the midst of it, so it was useful to hear the session summarized in a logistical way. Our actual presentation consisted of a short reenactment of our original tutoring session, followed by Spencer’s explanatory synopsis. Part of the presentation involved reading the paper aloud, which revealed just how boring a summary-based essay can be, regardless of how well it is written. After the first few paragraphs, every time Taylor moved on to a new section, someone in the classroom would sigh in disappointment. It must have felt as if it would never end. While slightly embarrassing, the class’s reaction emphasized just how important an interesting, arguable thesis is to any good paper. Overall, we felt that this assignment was an excellent learning experience because it allowed us to practice tutoring a very real situation that a COWS tutor is bound to encounter on a regular basis. A student came in with a 10-page draft of her senior thesis proposal, on sociology, and needs help with narrowing down the focus of her paper. The first challenge is to clarify the direction of research and ideas. The second challenge is that the tutor is unfamiliar with the tutee’s field of research. The third challenge is that the tutor has not experienced a thesis project. The tutee came in knowing what struggles she wanted to address. The tutee seeks suggestions on how to narrow down ideas so as to better explore nuances in her research. The tutor asks the tutee to explain the theoretical framework and how that relates to the thesis topics, so she can have a basic understanding of the thesis project. After explaining, the best course of action is to examine the thesis statement, as this is the blueprint of the paper. Here, ideas can be introduced and condensed effectively to guide the rest of the work. The tutor asks what motivates the tutee to choose specific topics to study, prompting an opportunity for the tutee to explain the multiple aspects of her thesis statement. The tutee proceeds to explain her personal connection to the research and justifies her thesis, while unknowingly leaning more towards one specific idea than another. Tutor discerns and points this out to the tutee, suggesting that she focus solely on the topic she has expressed the most interest in. However, the tutee expresses that both aspects interest her; she has difficulty detaching herself from any one idea, as she has significant academic investment in each area. As a compromise, the tutor recommends that the tutee shift the bulk of her attention to the first topic while keeping the second one in the back of her mind so that it is not completely eliminated from the paper. The tutee recalls her writing process, in which it was hard to find empirical data and academic resources on the second aspect. Through the discussion, the tutor and the tutee mutually agree with adding the second aspect into the “future research” section. Writing down all your ideas in one place to compare and contrast them is a good idea. If you have a collection of notes on your topic, read over them and pick out the pieces of information that stand out most to you, then rewrite them on a new sheet of paper so you have a grasp of what is most interesting to you. Force someone who isn’t interested in your topic (or, better yet, someone who is, if you can find one) to listen to all your ideas. This is a good way to figure out which of your many leads you may want to follow because you will likely naturally blab the most about the one you have most evidence on and passion about. Also, if the person you talk to is in the same class you can help each other with ideas. Try following your first idea to its conclusion. Force it when it seems like a stretch. You will probably not end up using it if it turns out to be imperfect, but it will still break the ice, build your confidence on your topic, provide a possible fallback, or show you where you can’t go. Depending on the topic of the writing assignment, research may be a useful way to brainstorm. If you are asked to write about a literary novel, learning about the context in which it was written may provide valuable insight to your analysis. Also, understanding why the author wrote certain ideas or arguments into their text may sway you in one direction or the other if you are writing a persuasive essay. For an essay on a broader topic, find current news events that you can relate to your analysis or use to strengthen your position in an argument. Even if you think you have run out of ideas, keep writing. It does not disadvantage you at all, even if you think your thoughts are not coherent or even related. Write when you are tired. Write when you are bored. Write when you think you have nothing left to say. When you come back to your paper later, you may find that you actually have written from a perspective that you would not normally have. You may perceive drawing to be an act that should be relegated to your much younger years, but it is still very relevant today. As a writer, writing down important words or ideas on paper can be extremely helpful. Visualizing your thoughts gives them agency that is more concrete than when they remain in your head. Being able to physically see the random words and concepts you associate with your paper’s topic helps you efficiently organize your paper. You can move ideas around and test how they fit together; in connecting these ideas, you may find relationships between thoughts that had originally seemed completely unrelated. Many people tend to take an inductive approach in beginning an assignment by gathering the evidence they want to use and then creating a hypothesis that covers all of the points this information supports. Using a deductive approach instead may lead to new and exciting discoveries; try formulating a hypothesis first and then dig around for textual evidence that supports what you want to say. Rather than allowing a handful of quotes to guide your writing, force the text to align with what you want to say. Reading can be boring at times, even confusing. In my experience, these moments of boredom and incomprehension come when I’m reading something assigned- in other words, something I need to understand. So what’s one to do in this situation? Most take the unproductive route and doodle- it’s human nature. But I’ve found a better way to cope: idea clouds! Making an idea cloud feels like doodling, but the result reads like a note. An idea cloud is a grouping of words referring to the main points of an argument; the more repeated the idea, the bolder it is written in the idea cloud. These are great for reading assignments because they help a reader organize ideas, either in a paragraph, on a page, in a chapter or the whole book. They’re great for boring reading assignments because they give the reader something to do with their hands. How can idea clouds function in the tutoring process? I’ve learned that they are a useful way to organize ideas at any stage in the writing process. When tutoring someone early in the brainstorming process, with a lot of ideas and little direction, they can visually represent the prominence of these ideas in relation to each other. Say someone is rambling through various points. The tutor can start writing down ideas that the tutee keeps returning to- the result organizes the tutee’s ideas for them! When reading a completed draft, creating an idea cloud can demonstrate to the writer what their tutor gleamed from their piece. If the tutor and writer don’t interpret the piece in the same way, the idea cloud can indicate to the writer what needs to be revised. In reading and writing, idea clouds translate jumbled thoughts onto paper. Merriam-Webster dictionary defines synesthesia as 1.) “a concomitant sensation; especially: a subjective sensation or image of a sense (as of color) other than the one (as of sound) being stimulated” and 2. “the condition marked by the experience of such sensations”. To a person with synesthesia, the color yellow might sound like a symphony and the wind might taste like copper. We find examples of synesthetic language in everyday idioms. Take for example the phrases “bitter cold”, “actions speak louder than words”, “taste the rainbow”, or “green with envy”. Frigid air is not literally bitter, yet the association of tactile and gustatory sensation enriches the image. We, as readers, are urged to physically participate through sensory comprehension. Synesthesia is a powerful literary device—it brings writing to life through direct expression of the author’s particular imagination. As Chekov so aptly demonstrates, the key to “good writing” is to show rather than to tell. Writing is a medium with which we, as narrators of our own minds, articulate the subjective experience. At least that is how we would like to imagine it. And more often than not, when we write with this ideal in mind, we write confidently and boldly. As tutors, we should be careful not to overcomplicate the task of writing. Sure, to write an academic piece is to participate in a conversation, to deftly navigate the rhetorical conventions of the genre, but students shouldn’t cling too closely to structure. In tutoring, we should encourage students to be bold and find their voices as writers. This means trusting the immediate associations that they form, regardless of whether the end result fits perfectly with academic conventions. 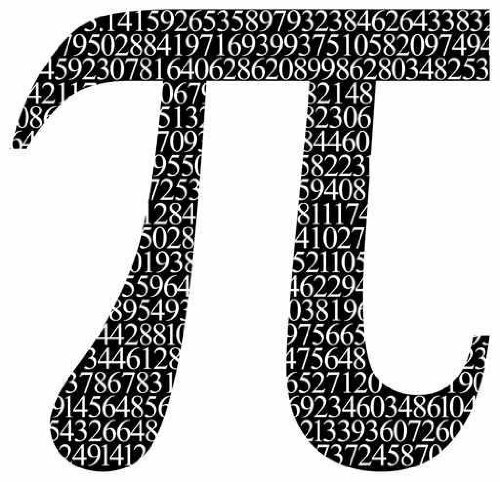 Pie symbolizes many things: an irrational number, math geekiness, a yummy treat, forgiveness, motherly love, true Americanness… the list goes on. In my house, everything good starts with a pie. And in 7th grade, I learned to start all of my writing with one too. My mom has always said, “It’s always best to start with a piece of pie.” She is a prolific pie baker. She got it from her grandma: her talent as well as her award-winner, eye-rolling, mm-mm-good swearing, recipe for pie crust. I always know when something important is about to happen because I walk into the house and it smells like buttery dough and caramelizing sugar, and flour dust hangs in the air. Mom presents the pie on the kitchen peninsula, and sits herself on the stool to start whatever it is that we’re starting. And I always know that it’s going to be a doozy. It runs in the family. Graingers say “I’m sorry” with pie, “I love you” with pie, “let’s get to work” with pie, and “it’s time to quit” with pie. I’m simultaneously happy, sad, forgiving, ashamed, and excited writing about it now. My seventh grade teacher, Mrs. Dewey, had a system for everything. Attempting to teach us how to write a 5-paragraph essay, she showed us PIE. P stands for Point. Academic writers learn to write deductively–say what you want to say first, and then explain to the reader why you are right. The point is the shortest part of the paragraph. It is typically one sentence written in active voice (Subject, Verb, Object). Pro Tip: If you’re having trouble meeting the requirements of the Point, try to write the rest of the paragraph first, then come back to it. Some people think inductively, which is not currently valued in academic writing. You should not be punished for it, but instead use it to your advantage: know what you want to say, and then put together your topic sentence. I stands for Illustration. Find a quote or quotes, passages from sources, or results-based proof for your topic sentence. Connect the pieces together with bits of analysis. Pro Tip: If you’re starting on this step, find a piece or group of evidence that speaks to you. This is usually centered around a common theme. E stands for Explanation. Put simply, explain why your Illustration proves your Point. However, this process is consistently more difficult than it looks. Connect the illustrative pieces of the paragraph together, and also introduce any counterarguments. Pro Tip: Start small by asking yourself, “What pieces of the Illustration are useful?” This could be a grouping of individual words, organizational structure of the quote, syllables per line, common theme–anything really. The most important thing is to identify it and then proceed to relate it to the Point. BONUS Pro Tip: For all of you inductive thinkers out there, this is the section where you will discover your Point. Reduce your explanation to a single sentence and move it to the start of the paragraph. (P) Pie is the best food to use when asking for forgiveness. (I) Once my mother and I got ourselves into a huge argument about where I would apply for college. She contended that I needed to apply to an all-women’s institution, like Barnard or Smith. I refused because I was 17 and obstinate. I told her, “It’s my life, Mom! Everyone at school thinks I’m a [redacted expletive], bra-burning, unshowered, feminist like you. The last thing I need is a school without boys.” Needless to say, she stormed out. I felt terrible. I had called my mother “unshowered” for God’s sake! So, the next day after school, I baked a blueberry pie. She came home from work, and there I was at my stool with it on the peninsula. Tears in her eyes, she came over and we both apologized: her for being controlling and me for being unbelievably rude. (E) There was no need to wait for a break in the conversation or an awkward Come to Jesus moment when she came home. The pie said it all. It was a warm, sweet reminder of love, asking for forgiveness during a tense time. The pie showed that I respected my mother as well as our family tradition without a single word needing to be said. Although it was a nice compromise and ended a feud, as she was getting up from her stool, Mom turned to me and said, “I’m not paying for anything if you don’t at least apply to one” and slapped a Barnard application down in front of me. She may have won that battle, but in the end, I won the war by going to an women’s college that recently turned coed. I have the pie to thank for that; it was efficient and delicious. PIE (both the food and the process) is warm, sweet, and homey. It’s the comfort I fall into when I don’t know where to begin. I diverge from it, of course, churning out brownies, cakes, cookies, and the occasional ribeye steak to communicate with people I care about, but PIE is always a good place to start. In my experience, pie is universal; while not omnipotent, it does present a starting point by which to start all important discussions, decisions, writing, and thinking. One of the most important lessons I learned about writing at Whitman was the art of revising. Yes, I just said the art of revising. This is because revising is not simply changing a few punctuation marks and spell-checking, but a thoughtful and daunting process of recreating. The etymology of revise comes from the Latin word revisere, “look at again, visit again, look back on.” (OED) Thus, revision means to visit your work again from a fresh perspective, looking back on your work with a willingness to recreate. There isn’t just one way to revise, just as there isn’t one way to write, but here are some ideas for revision that I found immensely helpful in breaking out of my cautious, grammar-editing mode to recreation mode! These strategies are loosely based on lessons from Professor Kisha Schlegel’s class Introduction to Creative Writing, as well as the book The Practice of Creative Writing by Heather Sellers. Make bold choices. Some parts, you’ll know, deep down, just need to go. They can’t be fixed. They might be lovely and thoughtful in themselves, but they don’t serve their purpose in the context. If you have to cut it out, cut it out, even if it feels like you’re slowly and excruciatingly extracting a tooth from your jaw. Revising calls for bold, even radical changes, and sometimes these changes can be painful. Give yourself a restricted amount of time. Keeping yourself tense, knowing that you have to change something about your work within a limited time frame, can do wonders for your work. It helps you break out of your (justifiable) fondness for the original draft, and reluctance to make changes to a beloved piece. It forces you to resee and revise, quickly, boldly, and creatively. Rearrange your organization. In The Practice of Creative Writing, Sellers mentions a student who dramatically revised his short story by cutting it into paper strips, then moving the strips around until he found a sequence that pleased him. While you might not want to actually take out a pair of scissors and physically cut your essay up to ribbons, it’s useful to play around with the organization, see if a different order works better or if this phrase sounds better in another place. Draw the images in your piece. This might sound silly, but I actually found it the most helpful among all the revising techniques. It is especially useful in creative writing, but even for academic essays or analytical papers, drawing out what you want to say can give you an immediate glimpse into whether your argument has enough tension to be compelling, or offer a new direction that you can take your paper toward. Read for inspiration. There is nothing as freshly inspiring as skimming a few pages of your favorite book or the words of an expert on your topic. Okay, maybe a cup of strong tea…or a bar of chocolate…but reading other works conquers even these. They might provide a casual observation that could end up being your thesis, or fling a sparkling, startling stanza on which to build your own poem. Just make sure you give them credit if you take a bigger chunk of their ideas, because imitation may be the sincerest form of flattery, but only if it doesn’t degenerate to plagiarism! Revising is a scary process, one that makes us hold our breaths and dig in our heels. But, once done, you will surprise yourself by how much your work can change. I’ve had eight-page essays transform into three-page poems, short stories swirl into novels, characters get offed and new ones spring to life. Good luck, and bon voyage in your pursuit of good writing! Editing my own written work is a process that has, at times, seemed fruitless. Throughout my years of academic writing I have received many helpful insights on becoming a better writer, and even a better reader of other’s work, but I hadn’t found an effective process for editing and reading my own work until recently. For the most part, my editing was merely revising sentence structure and word choice – I never felt I had enough distance from my work to see the larger, general issues with the flow of the entire work or gaps in my argument. I have found two techniques for editing that aim to expose some of the key issues in a draft that may not be immediately obvious to the writer. The first editing technique was introduced to me by Rebecca Hanrahan, a Whitman College Professor. This technique is easier with a computer, but can certainly be done on paper or out loud. Underline the single most important sentence in each paragraph. Copy and paste each sentence, in order, into a new document to make a single paragraph of these critical sentences. This will serve as a “reverse outline” for the work you have currently. Read the paragraph and see if the thesis is clear, if a coherent argument comes through, and if there are any large gaps in reasoning between each sentence. This editing strategy has been very helpful in my own writing because it allows me to take a general look at a piece of writing that is not available when reading through the whole piece. Often times I find 2-3 important sentences in one paragraph, and realize I can spend more time developing each one into a more substantial concept or even a new paragraph. This technique has helped me to get a broader view of the direction and flow of my writing in a specific piece. The second editing technique has been loosely adapted from advice from my advisor, Tom Davis. This technique is great for reassessing what still needs expansion in a paper, as well as clarifying intentions to oneself and the reader. For each paragraph, including the introduction and conclusion, make a list of questions that you hope to answer (include both questions you have left unanswered and ones you have addressed). The questions can be universal (eg. “Why should the reader care about this paper?”) or very specific (eg. “What is Arendt’s conception of action? How does this differ from traditional theories in Philosophy?”). When rewriting or writing anew for a second draft, use these questions to drive your writing – look back to these questions to see if you clearly express the questions you wish to answer and use the new, unanswered questions to move forward with new concepts. Although I find this strategy most helpful in the editing stage of writing, it could certainly be used as a brainstorming technique after developing a subject or topic for a paper. This exercise has been very helpful for moving forward into new ideas in a second draft, in addition to clarifying the work I have already done in my first draft. My writing is often fueled by questions, or even framing certain arguments as answers to a question, so I recognize that this editing technique really caters to my own writing style. I also note that this second technique has been particularly helpful when applied to long seminar papers with several sections or sub-thesis statements, which can easily become abstract or unclear. In a long piece of writing, it can be incredibly helpful to address the questions your writing hopes to answer and to plainly state those questions for the reader. Editing can be much more than merely putting on the finishing touches – it can be a critical turning point for rewriting and developing what lies dormant in a current piece of work. I have found these techniques inspiring when moving forward into a second draft or even finishing a first draft when I feel stuck. I hope they are as successful for others as they have been for me! I struggle with “trying to sound academic,” or “trying to sound smart” before I knew what the difference between “academic” and “smart” writing implied. Anyone can write smart. To me, smart writing is a process of finding patterns in my composition and in my speech, and then editing what I express to others. I use these patterns to try to understand why and how I create my argument, and how my argument functions in my writing piece. To me, this argument-question, this attempt to understand why and how I argument-think, helps me both to write and to say something about my writing experience. In my writing experience, I find myself trying to find “a perfect first sentence.” I become so obsessed, perplexed, and entranced about what words I use to phrase my thoughts, and not about why and how I intend to provide my reader an opportunity to change the way they understand a concept. I call this intention-changing, opportunity-providing, way-of-concept-breaking process teaching. The difference between teaching and tutoring is the instructor’s intention in sharing a thought. I call my Whitman professors “professor,” not “teacher.” My professors could not teach me, they could only provide an opportunity to teach myself. I perform this same function for a student, but the people I tutor are often my fellow schoolmates, humans of my same age. I find that my life and academic age-proximity to the people I tutor helps this student “to feel heard,” to feel validated for their attempt to express a thought, and to still have an opportunity to improve. I remember a sentence my ninth grade English teacher told me, “You can bring a horse to water, but you can’t make it drink.” I could bring a horse to water, and I could make it drink, but neither the horse nor I will enjoy this process. I enjoy watching a student tear open their own mind as they realize why and how they taught themselves, and then what they have learned. One way I attempt to start this process is asking a student what they intend to say in their writing, and how they intend to say it. One student wanted to talk about Alienation in Mary Shelley’s Frankenstein. She told me that she did not know how to start. “Start what?” “How to talk about it.” “About what?” “About Alienation in Frankenstein.” “What about Alienation in Frankenstein?” “About the relationship between the creature creator.” “What about the relationship between the creature in the creator?” “About how the creature does not have a father or a mentor, how Frankenstein is angry at the creature, and how he feels distant, separated from Frankenstein.” I did not do anything in this interaction. I asked questions, and she responded. I did not tell her what I thought. I asked her what she thinks, and how she intends to express her thoughts. Acting as a mirror in that way could help a student more, could provide a student a better opportunity to teach themselves, than that of information transfer, the process of force-feeding a student information, and waterboarding this information out of them. Rather than force-feeding and waterboarding my students, I ask them why diction, passive voice, and stylistic choice affect how they make an argument, how they present a concept. To show them one example of why diction, passive voice, and stylistic choice affect how they make an argument, how they present a concept, I show my students a line from Robert Alter’s translation of Genesis. The final line of Chapter 1 of this translation of Genesis reads “And God saw all that He had done, and, look, it was very good. And it was evening and it was morning, the sixth day.”  Prior to studying academic religion, I thought this line read “And seventh day, God rested.” In this these sentences, I see similar concepts, similar processes. The ending of an event. God. A release, maybe from tension, maybe from work. The order that these sentences present these concepts, these processes, differs. In this difference, the concept, the process these sentences present changes by means of the language and of the order of the images in my mind. If I say the sentence “I went to the park,” versus “the park was went to by me,” then I necessarily change the concept I share with my reader. I still see the image of me, of going in the past, and of the park, but the order I present these images in changes the concept I provide my reader an opportunity to choose to try to understand. Both the active voice, “I went to the park,” and the passive voice, “the park was went to by me,” are “correct” and “incorrect” depending upon the context. If I need to use passive voice to convey a concept in an ethical means, a clear and accurate means, then I will use passive voice, or passive voice will be used by me. Finding my writing authority by figuring out my question’s answers helps me not only to shatter the writer’s block, but also to try to understand why and how my expression-intention affects why and how my reader experiences my words, and thus expand my conception of the universe and of the human mind there in, or vice versa, depending upon how I choose to express this thought. 1. Genesis, trans. Robert Alter (New York: W. W. Norton & Company, 1996), 6.